Don't Tempt me! 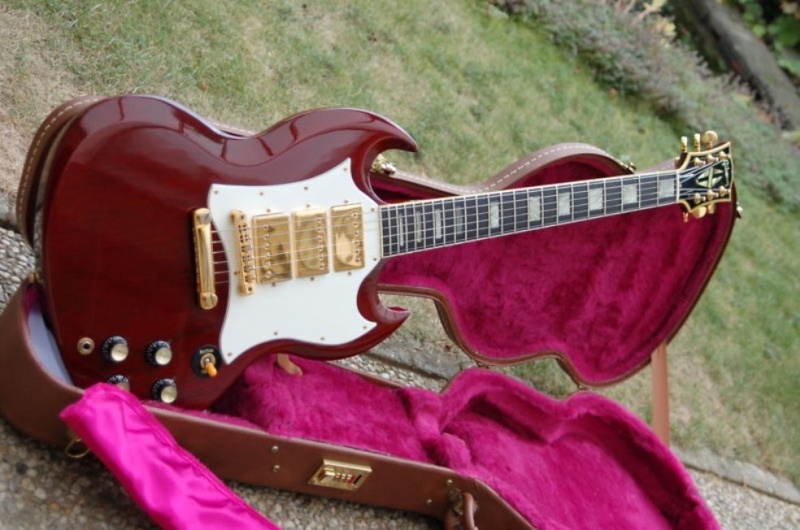 LOL SG's can be an "addiction," like Les Paul's are, for some other people! I just LOVE the "Horny Little Devils!" I agree I think yes the SG s 3 are the best and here's why. First of all I like the neck and weight better then the less pauls. 490 pickups sound a little brittle to my ears where classic 57 has a nice smooth tone but when you push them to the edge you get that slight brown breakup from them. I have actually thought to put in a stellartone on mine to increase the amount of variations but I do like the way it sounds so I'm not sure if I want to mess with it. 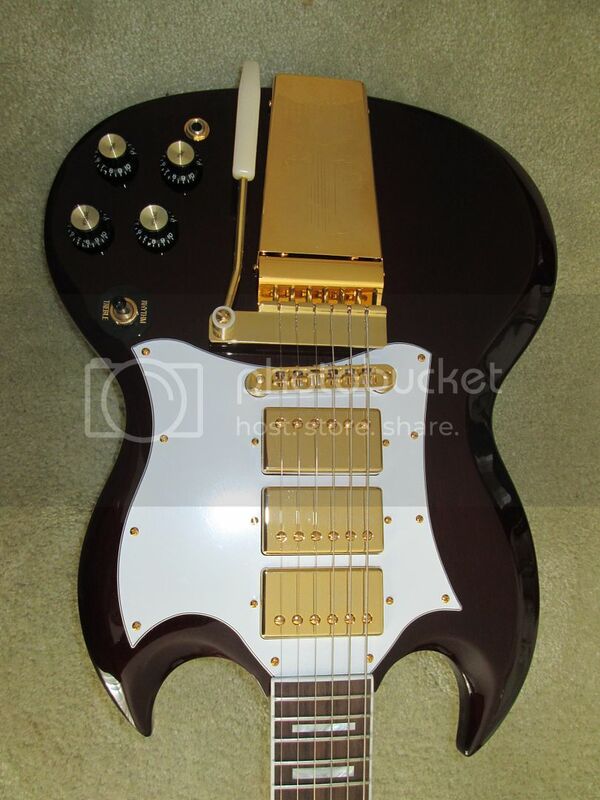 Here is a photo of kieth richards 61 sg custom which is featured in this months vintage guitar magazine. Jimi hendrix playing a sg custom in sweden . Same SG he played on **** Cavett. Safe to say he rocked it a bit. The LP I have seen him with also, thats rare indeed. Here's Mama Rosetta Tharpe a fine SG-3 addition too. He's waiting for the new Captain model scheduled for 2017 with an ebony board and a few other goodies figured to be added!!! controversy, about the real reason he wanted his name removed. Barney Kessel model Gibson, as well. I was watching her with the BK also. You know whats kinda odd about the whole guitar fascination. I always thought one day I would buy and own a 61 LP Custom RI. Might be a "yet", don't know, but for sure I always liked that piece. After listening to Hendrix rock it I like it even slightly more. 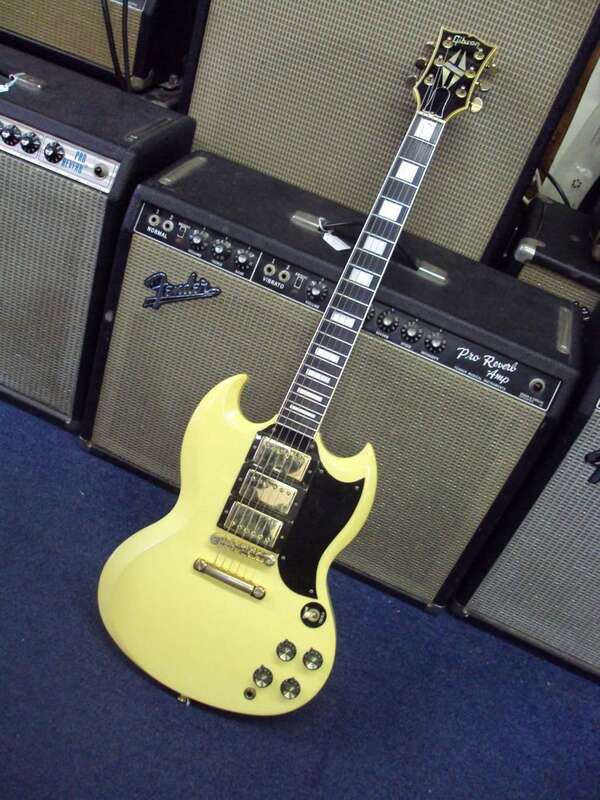 Charlie your right about the dislike that les paul had for the sg according to what i have read, but gibson did not remove his name until a couple years after also according to different sources. 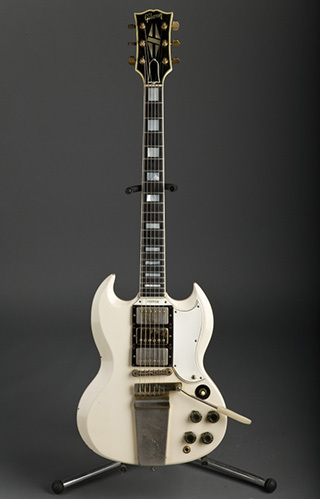 Black sabbath got me hooked on the sg custom. Heres a better photo of hendrix with the "les paul"
Tom you seen the 67 and 92-RI Custom SG? Petty cool also. Tom the Les Paul argument, not very good imho. Just saying, I can't qualify that. Listen if he played a 59 or 58 or 54 55 56 or 57 LP then I think you might have a point that Les for some reason blah, blah, blah the SG. But the truth is he played what a 72 recording? I mean come on how do you qualify all that in relation to the SG? And Mary never said a bad word about the guitar? I mean I don't know?